If you read this blog often, or have been to my site before, you may have heard me say that my UK-only titles, Second Hand Heart, When I Found You and the forthcoming Don't Let Me Go, would soon be available to U.S. readers. 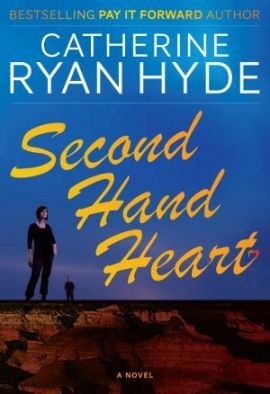 Well, today's the day for Second Hand Heart as an ebook. Today Second Hand Heart is available electronically on Amazon, Barnes & Noble and Smashwords, at a very attractive price. Just follow the links in the previous sentence, and you'll see what I mean. If you don't have an ebook reader, don't give up and don't tune out. The paper version will follow very shortly, and I will announce it on this blog as soon as the moment arrives. So I hope my U.S. readers will check out my Second Hand Heart page, and know that it's available to you, and that When I Found You will be available soon as well. As I always say, pleased stay tuned. I'll keep you posted with the news.